Well, it's officially winter now and I truly hate this. Everything is just so grey. I don't feel like wearing cool and colorful stuff anymore. Is it just me or you also have this kind of thing? Very cool style! Nice coat and boots. Your style is vibrant even if the season and weather are anything but. Oh sacey you look fabulous!I love tha coat! Cute look! Great coat and bag! I'm totally the opposite hun. When it's this grey out all I want to rock are fun, bright garb to get me outta the rut! LOVE that bag! Such a gorgeous shape and fabulous texture to boot! You are sooooo chic for words Stacey!! Thanks for directing me to your awesomeness via your comment on my blog! Hope to see more of you here & at my blog too! Im following you, but cant see you among my followers! Beautiful YOU and im loving this outfit! Perfect look! 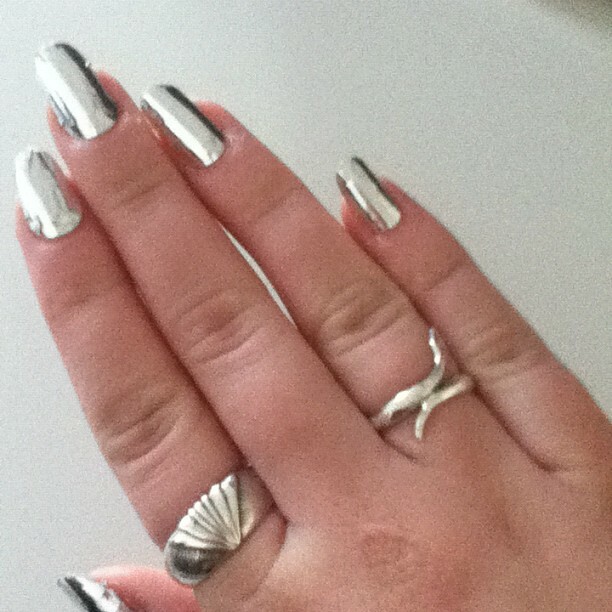 !I love the silver nails. Lovely blog. What about following each other? and the bag is so cool!! !